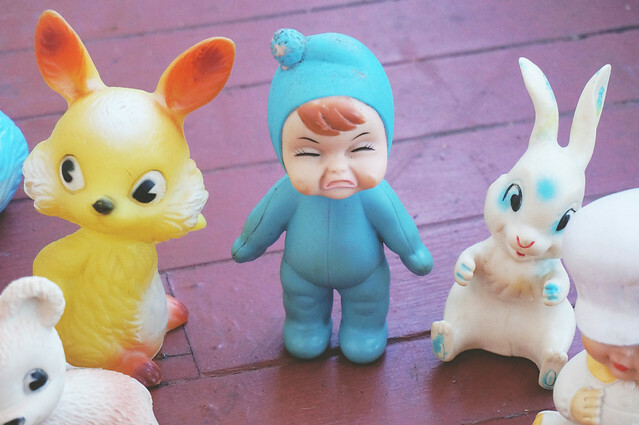 I've been trying to go to all of the opshops in my city in one day, twice a month. There are thirteen of them if memory serves and driving to and from each one takes me almost the entire day. I really enjoy it though, it's like a treasure hunt. I try to spend at least half an hour in each shop, going through each section carefully. Sometimes I walk out having found nothing, other times I've spent $100 in one go. I am hoping to go for another opshopping day sometime in the next week - my friend Isis said that she might accompany me. 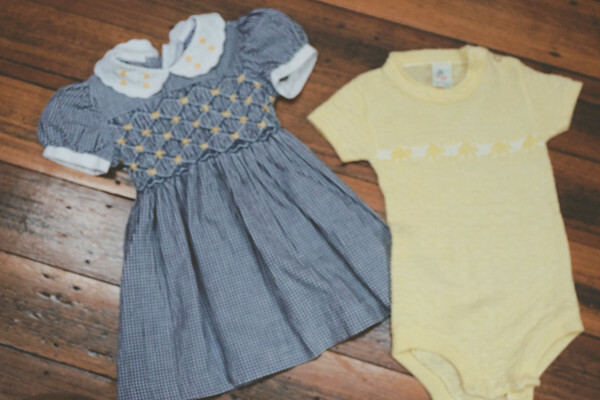 Here are some photos of some of the things I've found lately - I keep forgetting to photograph them, so there are some items not pictured here including from when I hit the children's corduroy overalls jackpot - I found about 10 gorgeous pairs at one opshop. 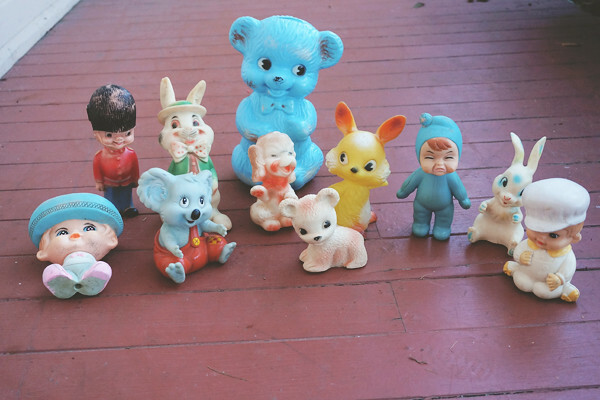 I found these vintage toys all together at an opshop last week - someone must have been having a clear out! I think C thought I'd gone insane when he saw them, but they were too awesome to pass up. They made me think of Holly. 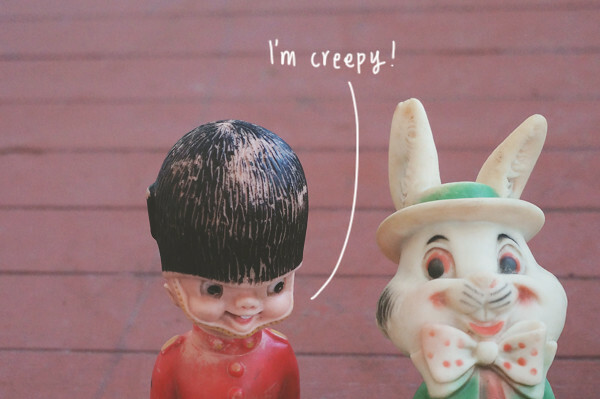 The queen's guard toy is probably the creepiest one of the bunch - that face! I thought that this one's face looked like one of Theo's faces. 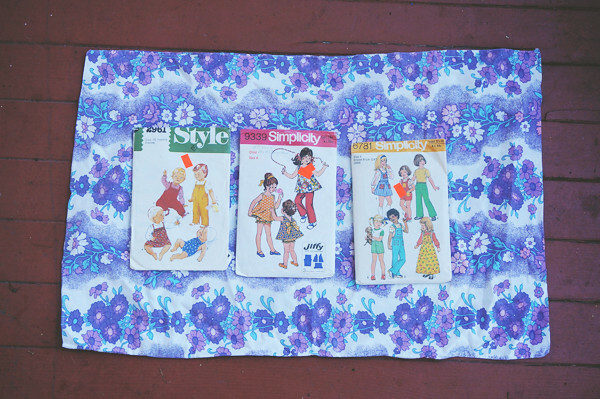 I've been collecting vintage childrens clothing sewing patterns. And I can't pass up a good retro floral pillow case. 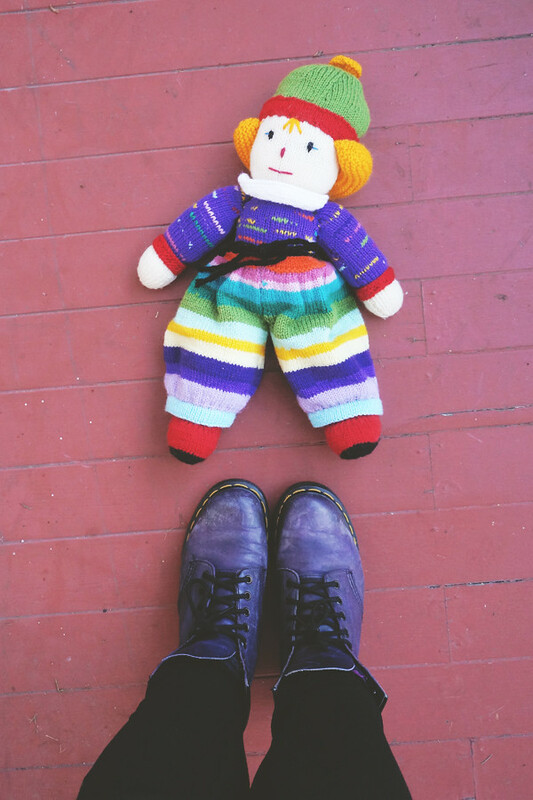 I've collected a few of these knitted dolls already. I just seem to gravitate to them. The amount of work in them makes me appreciate them I think. I also found these purple Doc Martens boots for $3 but I think I'll pass them onto a friend as they're a tad small. 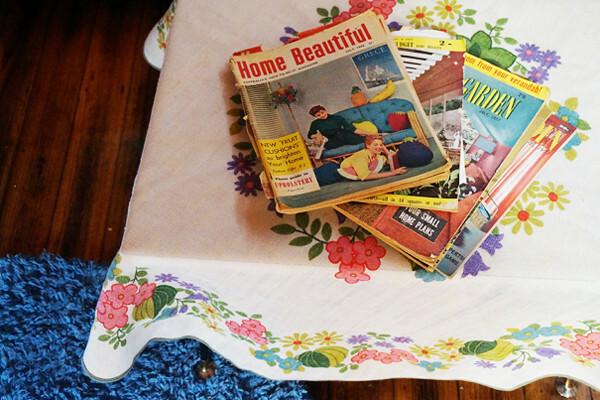 I found a whole bunch of these old Australian Home Beautiful magazines at the Evandale Markets. I didn't buy them all though and am considering returning to buy the rest on the weekend. 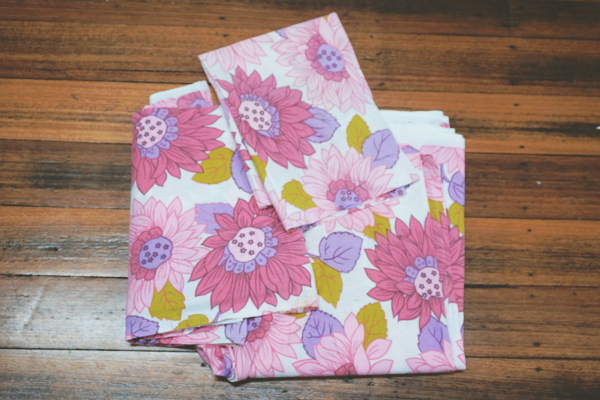 The tablecloth pictured was also an Evandale markets find. 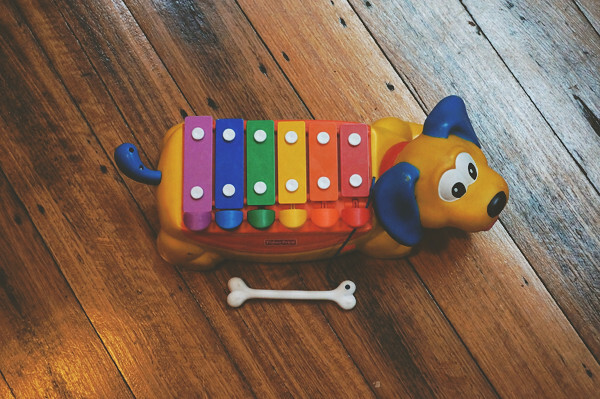 Theo loves this xylophone dog, though he's slightly more interested in chewing on the bone than making music. 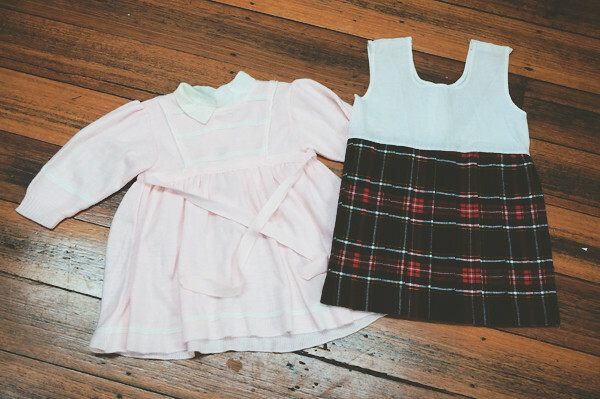 Vintage girls dresses? Don't mind if I do! 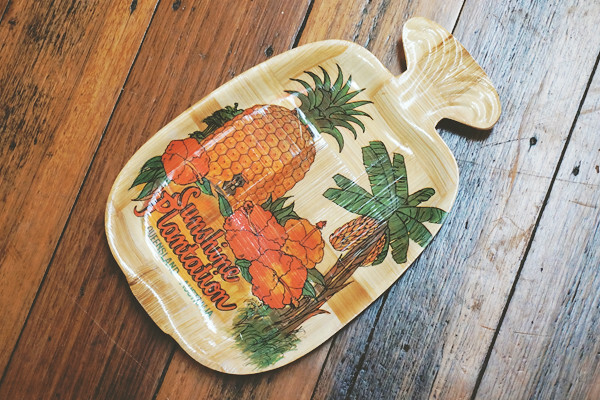 I love a retro Australiana souvenir. 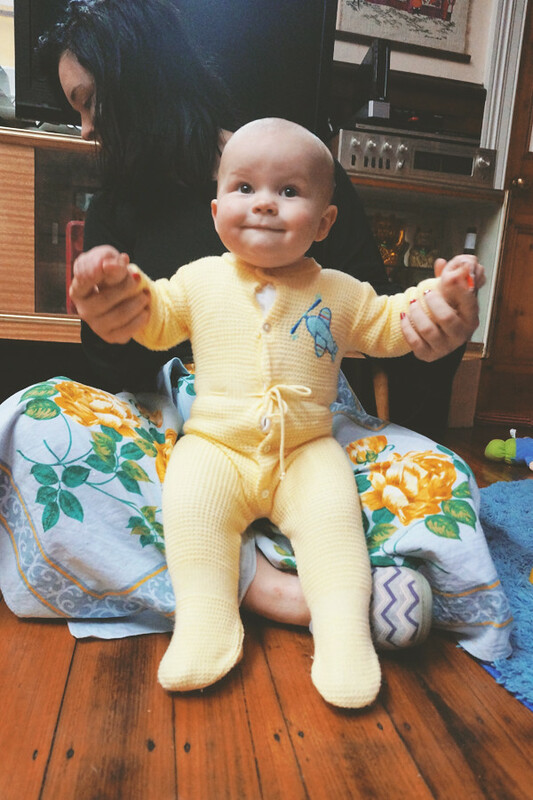 I found this gorgeous knitted suit but I think this will be the first and last time Theo wears it as it was a bit too small for my tall boy. Retro floral patterned sheets are always a yes. 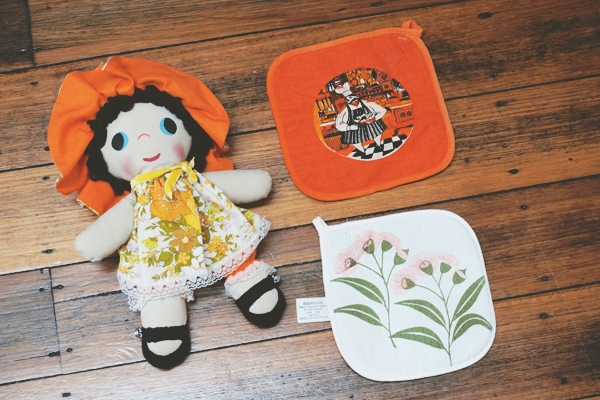 Adding to my pot holder collection and a little dolly for Theo. 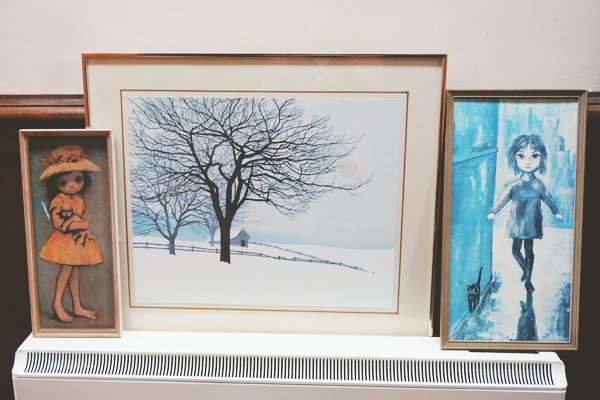 Theo is a big fan of both of these little children's prints - they're now in his room. He likes to talk to them. The tree print is above our bed. I think it's really beautiful. A score for $8 at the opshop around the corner from my house. Had any thrifting wins lately?